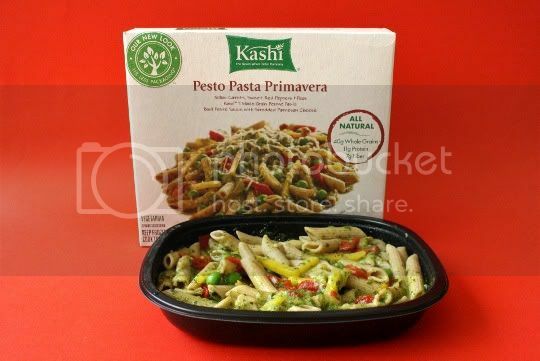 Health-conscious company Kashi offers something a lot of companies don't: healthy frozen meals made with real ingredients, organic ingredients, low sodium, and no chemicals or additives. Nice! What's even better is that about half of the frozen entree line is both vegetarian and vegan. Unfortunately, these meals aren't that budget-friendly: the cheapest I've seen these (and they were on sale) was $3.50 each in my local Albertson's. Normally, I see them ranging around the $5-6 mark. But hey, you get what you pay for...I suppose there's a reason some of those "other" frozen meals go for $1-2 each; pull out the dictionary to look up some of those ingredients. My first thought after my first bite was that--for a frozen meal--the ingredients taste REAL. No chemicals, no preservatives, no food coloring, no additives. Just plantains, sweet potatoes, kale, and black beans on a bed of what seems like a million different grains: amaranth, polenta, and Kashi's 7 Whole Grain Pilaf mix. Crunchy pepitas are sprinkled on top, and everything is covered in a spicy roasted tomato-based chile sauce. The kale, black beans, and grain mixture are a little bland; they're missing one key ingredient: salt. Sure enough, I read the nutritional information to see only 380 mg of sodium. Not that I'm complaining: in a frozen entree world of super high sodium content, this is a welcome and flavorful change. 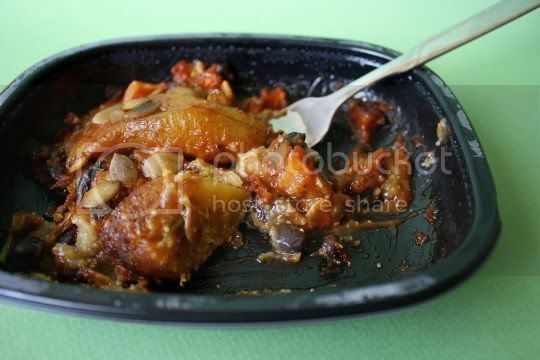 But the plantains and sweet potatoes are perfectly cooked and oh-so-sweet. The grain mixture is thick and sticky, almost like grits, and while bland, the parts that are covered in the chile-laced tomato sauce are delectable. The entree is vegan, and the small portion seems hearty at first, but you may want to pair it with something else on the side to fully sate your hunger. 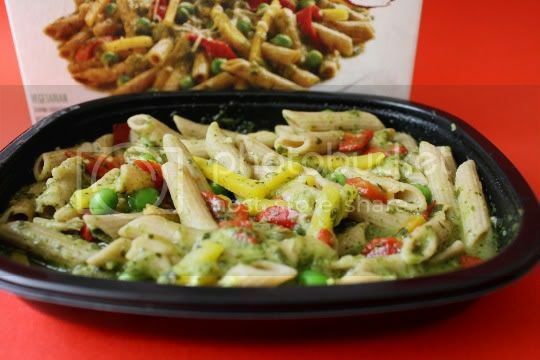 While this pesto-drenched pasta is great on flavor, I couldn't really discern between this and any other regular pesto pasta frozen entree. Seriously, I think in a blindfolded taste test, the only notable difference is the use of the hearty and thick whole grain noodles. The amount of added yellow carrots (interesting, I thought they were bell peppers), red peppers, and peas is good: not too many, not too few. 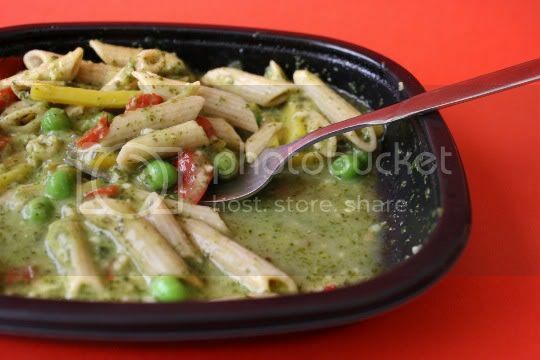 But the pesto sauce covering everything is a bit much. It's not the flavor I'm complaining about--which is your standard basil-and-garlic-heavy pesto--it's the consistency. Never before have I seen a watery pesto until now. It's soupy and thing, and it pools at the bottom of the carton. Letting the heated meal stand at room temperature thickens it up a bit, but not too noticeably. The Parmesan cheese gives the sauce a nice rich and salty flavor...and sure enough, the sodium content of this meal is double that of the Mayan Harvest Bake. No surprise there! 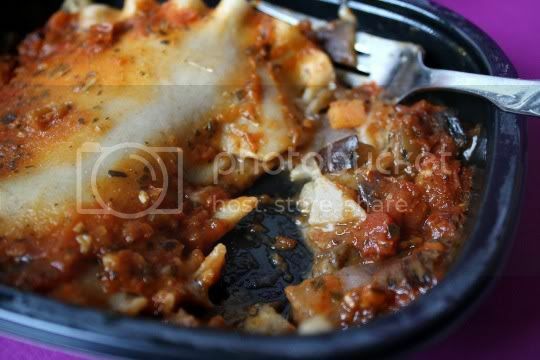 Super flavorful, surprisingly hearty for the size, and almost hard to believe its vegan, this entree is basically a veggie lasagna--filled with diced squash, eggplant, red onions, lentils, and sweet potatoes. 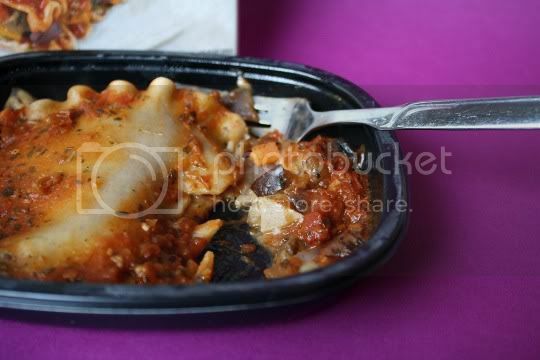 A tangy, basil-scented, slightly spicy tomato sauce covers the pasta layers, and there's even a "cheese"-like filling. Don't be fooled, this entree is completely vegan. 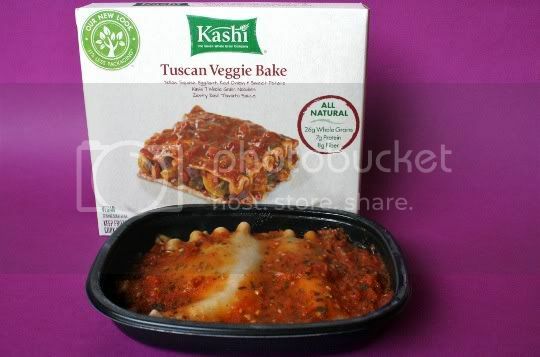 The rich, smooth, mildly flavored filling is actually a cannellini bean puree...which really works! 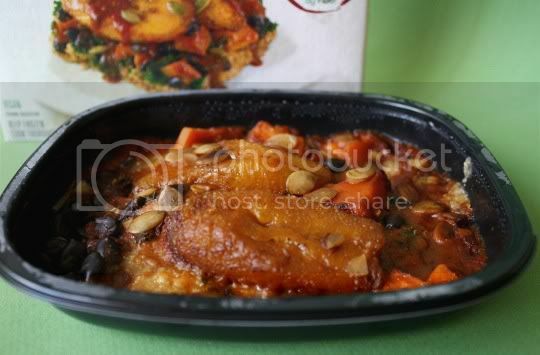 The dish has a sort of Provencal, ratatouille-like flavor: tangy, spicy, and vegetable-hearty. Sodium content is a bit high, but calories and fat are low; fiber content is pretty good, which really makes this a satisfying and filling meal. I just ate Kashi Lemongrass Chicken for lunch. Not bad---not great. Not much depth of flavor--the very mild bit of heat is about the only flavor note. A tinge of lemongrass comes through here and there. Mushy broccoli--chicken and grains are fine though. 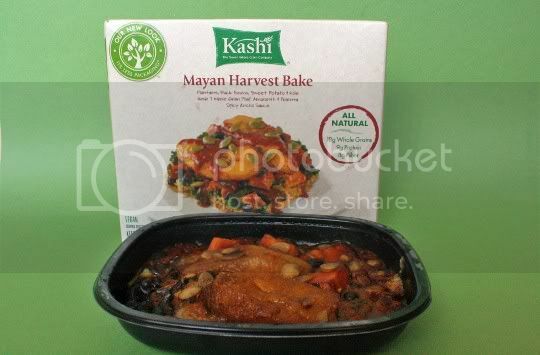 I might buy this again, but the Mayan Harvest Bake is still my favorite.